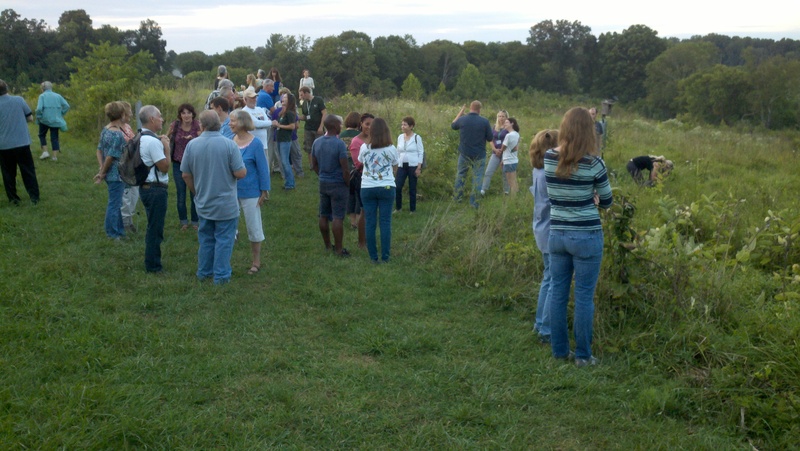 Last night I, and 140 of my closest friends, spent the evening at the Howard County Conservancy’s Monarchs and Mojitos event. Mark Raup and Paula Shrewsbury, both professors in the entomology department at the University of Maryland, were our hosts for the evening. We heard a great deal of interesting aspects about the life of a Monarch butterfly and the challenges this beautiful species faces. 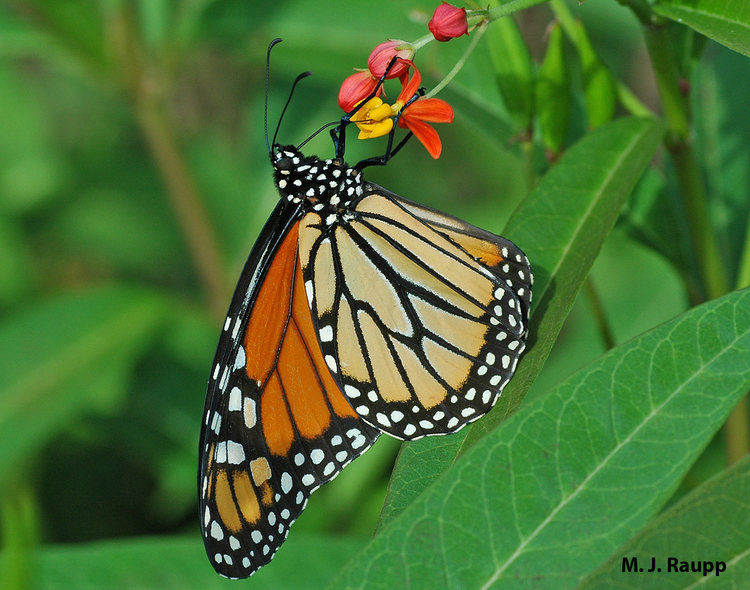 Monarchs are threatened with extinction due to the loss of habitat of milkweed plants which its caterpillar stage depends on. Much of this loss comes from the loss of meadowlands and the use of herbicides in agriculture. We were all encouraged to plant common and swamp milkweed plants as well as plenty of flowering plants which are needed by the butterfly’s themselves so that they can recharge for their long trips north and south. During our walk through the fields on the 232 acre Mt Pleasant Farm, we found plenty of milkweed plants, many milkweed beetles, the brilliant caterpillars, and a few monarchs. The Conservancy also has many examples of the various phases of the Monarch’s lifecycle in their nature center, the Gudelsky Building, which is open to all to visit. One reason a group of citizens started the Conservancy 25 years ago was to preserve this land and habitat forever. The Mt Pleasant farm is carefully managed to have a wide range of plant and animal life that enriches our environment here in Howard County, MD. Someone asked “so what happens if we lose the monarchs?” Evidently if one species is lost, it will probably directly bring down 15 other species. Of course each of those species could bring down 15 more and so on. It starts a cascade that will threaten our support system here on our planet. So monarchs because of their brilliant colors are an important indicator of the health of our environment and provides us with a great opportunity for learning and for action. There is much to learn about nature by taking an interest in this one species. There is an excellent 3D, IMAX movie all about monarchs, The Flight of the Butterflies that is regularly shown at the Maryland Science Center. I encourage you to go because it is a wonderful 3D movie for the whole family. I guess the main thing I learned last night is that we all need to save the places we love, such as Mt Pleasant Farm and all other meadows, in order to save the species we love. Take-a-way: Support the Conservancy, grow milkweed and flowering plants, take an interest in nature. The Conservancy has a Fall Festival coming up on October 4, 2015 – put it on your calendar. By nedtillman2 in Backyards, Calls to action, Meadows on August 28, 2015 .